Sarah M. Eden is the author of several well-received historical romances, including Whitney Award-finalists Seeking Persephone and Courting Miss Lancaster. Combining her obsession with history and an affinity for tender love stories, Sarah loves crafting witty characters and heartfelt romances. She happily spends hours perusing the reference shelves of her local library and dreams of one day traveling to all the places she reads about. 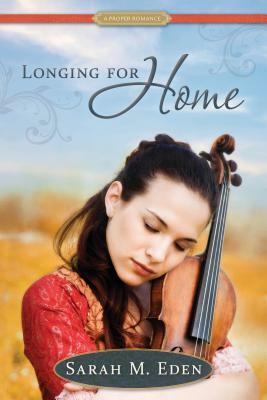 Book 1 of Longing for Home and the companion Book 2 is Hope Springs.